After emerging smartphone brands from the yesteryears revolutionized feature-packed handsets with impressive cameras and high-end specifications in affordable price points, there's a now a diversity of names available today. With that said, this could have been the reason for Apple's hand to compete better in the market. Now with the iPhone 7 looming close, we're seeing a bevy of rumors going on left and right with the latest of which suggesting a larger camera and the 3.5mm jack is here to stay. The leak comes from Chinese repair shop Rock Fix, claiming that the 4.7-inch iPhone 7's rear casing will feature a larger CMOS sensor that would likely improve its light sensitivity. New info such as fewer plastic antenna bands at the back is also shown. Furthermore, Rock Fix suggests that the 3.5mm audio jack will still be available for the 4.7-inch variant. 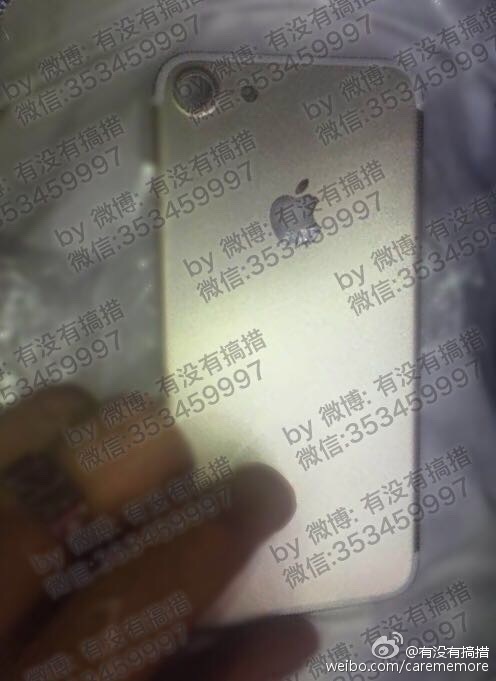 However, it's still unknown at the moment if its bigger sibling, the 5.5-inch version, will do away with the standard. Do keep in mind that these are all rumors at the moment. While some of them do ring some truth in them, there's still a possibility for them being a fake, or there could be other changes before it finally hits production. If Apple follows with its pattern of releasing its iPhones, then everything will go official by September of this year.